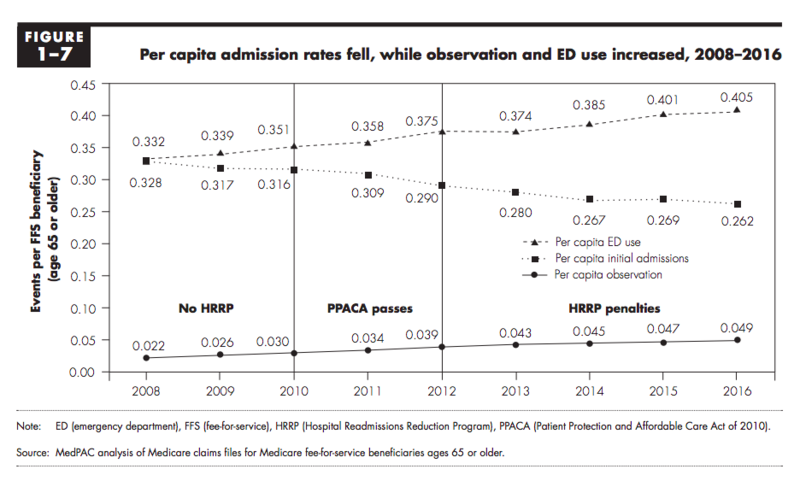 Hospital readmission rates suddenly dropped and Medicare started saving money. A staggering 81% of all hospitals suffered penalties in 2018, which translates to ~$500 million or 0.3% of total Medicare payments to hospitals. The MIDS program supports the “development and use of clinical quality measures which remains a critical healthcare priority and the tool of choice for improving quality of care at the national, community and facility levels” and it allocates $1.6 billion dollars to this purpose. The numbers are staggering. I know little about how to interpret these data about federal contracts, but it sure appears that the Yale-New Haven Health Service group led by Krumholz has received $144 million dollars since 2008. Anish, as we all know the most expensive days involve admission and discharge. We know an extra day(s) can reduce complications and OP costs. Has anyone attempted to calculate the net increased cost per extra day and its percentage of total costs for the event? 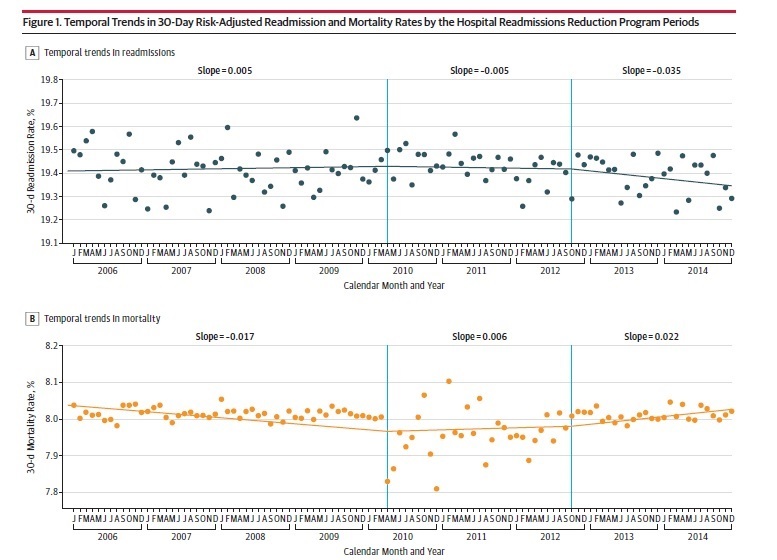 It’s that graph that extends between the early discharge date and the later one that needs to be observed in order to more fully evaluate the financial and human costs. Maybe a randomized study of that nature can be performed. I don’t think that would be so difficult to do. I’ve read that Germany incorporates 80 separate factors to determine its risk scores. I wonder if socioeconomic status is one of them, and, if it is, how much weight it gets.